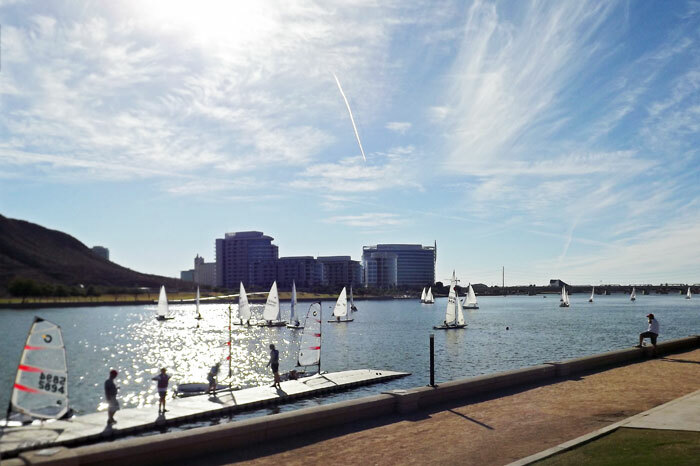 Great fall weather brought loads of sailboats to Tempe Town Lake on Sunday, October 27. 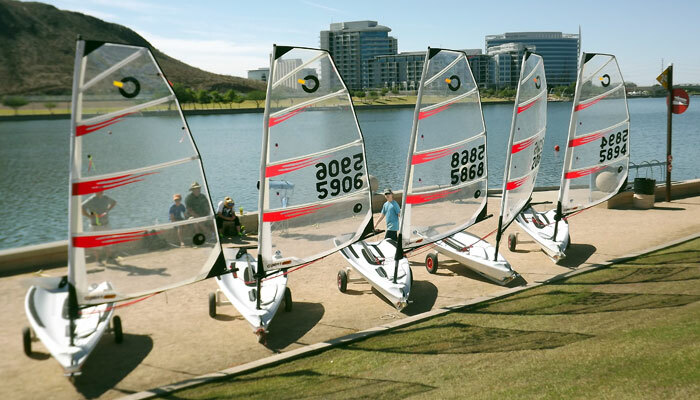 Phil Freedman said he counted 50, including the Opti class, tryouts on the new O’Pen Bics, and the fall series racing. The scores are posted on the results page or you’ll find them here.